Firstly an accumulator is a bet usually consisting of at least 4 different selections. These are combined to make one bet, that pays out when all selections win. Read on for Accumulator Betting Tips. The advantage of accumulators are the combined odds which when multiplied together, make for a fantastic return . The downsides are that a single losing selection will void your bet, making a loss. Even now, I see people in pubs on a Saturday, filling out their betting coupons from the local bookie. In fact last week alone a group at the bar had pooled their money on various selections, in such a manner that they coined it their “million pound bet”. There’s no surprise that they didn’t win…. The bookies usually have two fixed odds coupons each week, a midweek fixtures and then a Saturday fixtures coupon. These are designed to be easy to use, and consist of a long list (a list of fixtures) and usually a correct score part. Some of the bets are a little outlandish, as the bookies offer great odds for teams that are difficult to predict. One system that was heavily promoted years ago was “The Science Of Fixed Odds Success“. I believe It’s long out of print now, but It highlighted a number of permutations that could be used along with the fixed odds coupons. The data was all gathered from the Racing and Football Outlook and involved some very basic mathematics. The basic premise was that you chose 5 football matches. You’d choose 2 strong home teams, 2 away teams and maybe a good draw bet. You’d then build a permutation that would cover the most likely outcomes for those 5 matches, whilst allowing for a margin of error. The 5 matches could have up to 12 different perm bets. You’d then wait for the results on television to see whether you’d won or not. ​The online bookmakers soon caught on to the fact that punters loved accumulators. They also knew that the odds were firmly In their favour and the punters would lose more often. This is where the bookies came up with “acca Insurance”. This Insurance gave you a free bet if one team let you down for Instance. This free bet allowed the smart punter to gain an edge. Services such as Profit Accumulator generate very profitable Acca (Accumulator) bets, and provide calculators In order to trade your edge out. These matched betting services can save considerable time and a profit is a profit. ​My favourite method is the Lay Sequential Lock In. This method ensures that a profit Is made, no matter what the outcome of the accumulator. 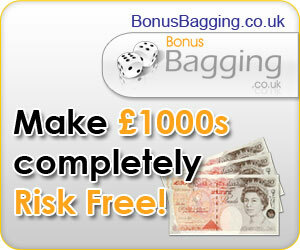 You simply make your bet with the bookmaker and sequentially lay off each event for a guaranteed profit. Yes It takes a few minutes to do, and sometimes the acca can last a couple of days, but profit is profit. I highly recommend this method of betting, It’s no risk betting at Its finest. If you prefer Accumulator tips on their own, then take a look HERE.